Robin, I Can’t See, originally uploaded by Cale Bruckner. I also enjoy taking pictures of toys because it helps me appreciate the details of the design work that goes into each toy. How much time do you think somebody spent designing this Batman figure? See the detail in the ears? Somebody put a lot of effort into this and the design behind a toy often goes un-noticed by parents that are more focused on trying to keep the toys in the right bins. Spend a few minutes looking at the detail work that goes into the toys your kids play with. I’m guessing their toys are more interesting than most of the other things in your house. More toy pictures in my Flickr “Toys” set. I’m always constantly amazed by the caliber of the pictures you can view on Flickr. The Best of 2006 discussion is a great place to browse some of the best photography of 2006. 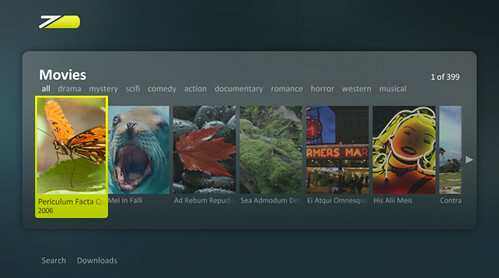 Microsoft Media Center SDK Sample Application, originally uploaded by Thomas Hawk. The new Microsoft Media Center SDK includes a sample application that features Thomas Hawk’s photographs. Hawk, in my humble opinion, is a fantastic photographer and I just love browsing his work on Flickr. Check his work out for yourself. Messing around with Flickr’s new geotagging feature tonight. Tagged my house – pretty cool – looks like I’m not the only person tagging photos in Eugene – take a look at other pictures taken here in Eugene. Learn more about Flickr’s new geotagging feature. fd’s Flickr Toys – a bunch of cool tools for creating things like magazine covers and movie posters from your Flikcr images. You can have a lot of fun with this. Recent fdsflickrtoys on Flickr. James the doorman (III), originally uploaded by ahyc. Flickr should develop ways for its members to make money off of the original content they post. Maybe they’ve already done it (I’m not exactly a Flickr power-user) – it isn’t exactly an original idea either. Give members a way to tag photos they’d like to sell – buyers could buy a license to use the image etc. There’s a lot of high-quality content on Flickr and it’s very searchable. The image in this post would make a great addition to a PowerPoint presentation.